The thing is, with the budget destroyed by the current administration? All bets are off on trail crews. SEKI has called our trail crew asking for volunteers. That has never happened before. The parks usually pay California Conservation Corps to do it. They can't afford it. 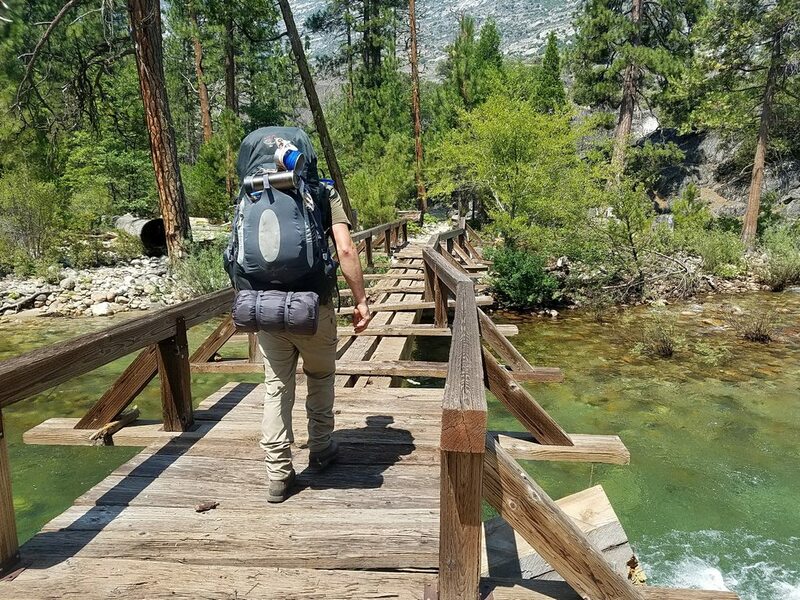 We can't do it, we're already overcommitted to trail work in the hundreds of miles of trails between Yosemite and SEKI with a handful of volunteers and a handful of rangers. The forest service cutbacks are having similar effects -- where there were 80 rangers/interns in Sierra National Forest there is now 8. Not. Kidding. Those rangers were out clearing the JMT between Silver Pass and Florence, we were on the Florence trail last weekend. The focus is entirely on heavily used routes. Bridges are also probably not trail crew but another contractor and probably involve helicopters to short haul the heavy components. That's hella expensive. So I would not hold my breath. With the water still high, a lot of trail work is being postponed - they are not going to take volunteers anywhere there is still snow or high water. Not for trail work. SAR is another matter entirely. AlmostThere wrote: It sounds like the rangers are declaring the Pate bridge closed/uncrossable. Someone had a permit request refused, no go for the thru hike of the GCT. You could still go out and back but the rangers believe the bridge is dangerous in the same way the bridge at Wapama (where there was a death already this year) is dangerous. Where did you hear this from? The linked thread in the OP mentions a detour in Pate Valley, but doable. This was early in July. She got an email from the park stating the bridge impassable. Ah, okay. My trip is in 2 weeks and I haven't received an email. I'll reach out today and see if I can confirm. I had a reserved permit for Roads End the year the Rough Fire closed Kings Canyon - I have to wonder if they wait to see if conditions change to contact people, I got my email fairly late I thought. 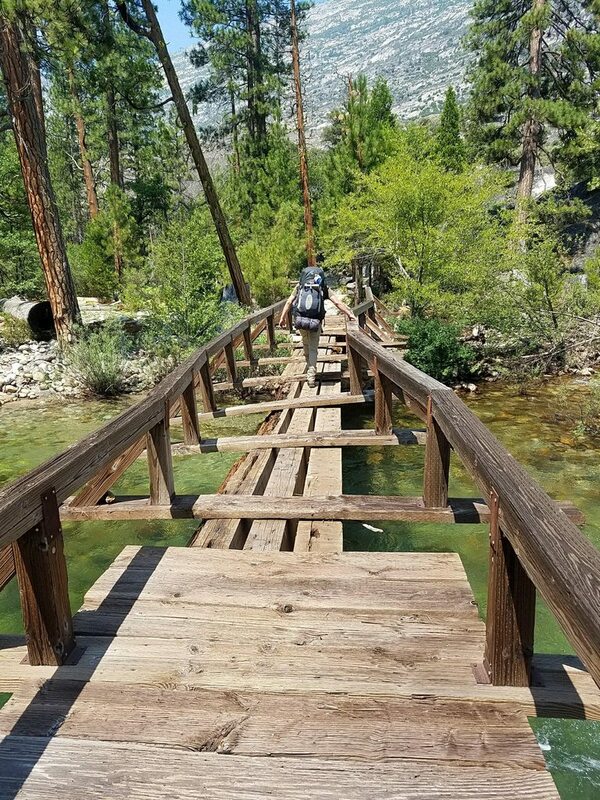 Still no idea what they plan to do with all the damaged bridges in the parks, or whether they are scheduling repair crews for next year -- they'll want to do it when the water is at its lowest point, after all. They've repaired the bridge railing at Wapama and reopened the trail. From the linked report, the people she talked to stated that it was a railing problem at Pate as well. But the bridges are similar: wooden girders, 4x4 posts lagged in as railing stanchions. Without seeing it, I would think that once they get on it, a day or two, a pile of lumber, couple battery powered impact guns and a ratchet, sack o' bolts. At least they're making progress. Next week...probably aint going to happen, but I would wait for that email before rerouting with anything further out. Let them cancel you, not the other way around. Regarding bridge at Pate Valley... Good news! The bridge is seriously damaged, but not closed. We are not recommending hikers use the bridge, but at the same time, it's not closed. Checking in after my hike. The trail was in OK condition getting down into Pate Valley. Many trees are down on the trail along with branches and other obstacles. Besides that, it was the best backpacking trip I've ever done. Very rewarding. Pate Valley bridge is passable. Sides are VERY wobbly, but the (3) remaining 12"x16" planks are fine. There was even a ranger there the day prior to our pass over the bridge hanging out. Rangers at the "big white hotel" station told us it was impassable. Of the 4 days we were on the trail, we saw only (1) other person doing tWW to TM. The (10) other people we saw were going from TM to WW. I still think the way I did it was best. That downhill into Pate Valley was killer! No way I would want to trek that going up. Even though the remaining hike from Pate Valley to TM was all uphill, it was cool to be going against the river and seeing all falls while hiking. Also, the last 5 miles into TM was a breeze. Flat the whole way. Amazing trip. I can't believe out of the thousands of people who visit Yosemite each day, I ran into less than (20) people in 4 days while on the trail. That's amaaaaaaaaazing! Thanks for the bridge pics! Telling. That's pretty much a total rebuild. That'll take some serious time and efort. The girder on your left has quite a bit of rot going on, and the buttress looks like it's barely hanging on. A few more days of swift and high water or a poorly timed tree coming through would've done it in completely, and whatever was left would've been bobbing around Hetch Hetchy. It would've been something to see when it was happening. It is strange that you saw so few people on the trail, and that the ones you did see were coming down from GA. People that know the trail or have any insight into what that climb is like typically do it from WW. Ambitious or unenlightened souls, or maybe just a lack of parking. Go figure. No matter, hope everyone enjoyed themselves. It really is a beautiful area. I've gone from TM and would do so again. 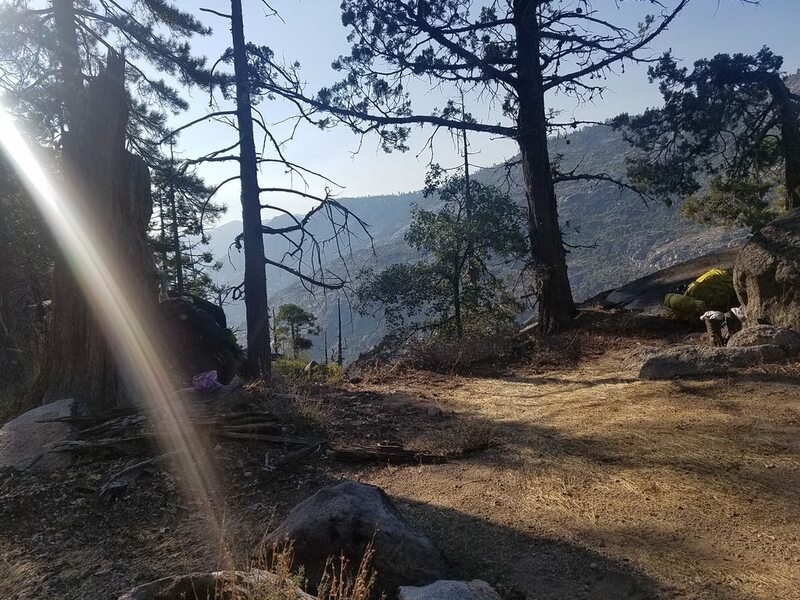 The uphill out of Pate is better in the wee hours of the morning or late evening for sure, but I enjoy making the last night that campsite at Morrison overlooking Hetch Hetchy. But not until they fix that bridge. Long experience says that if it's going to happen, whatever it is, it usually happens to me. AlmostThere wrote: I've gone from TM and would do so again. 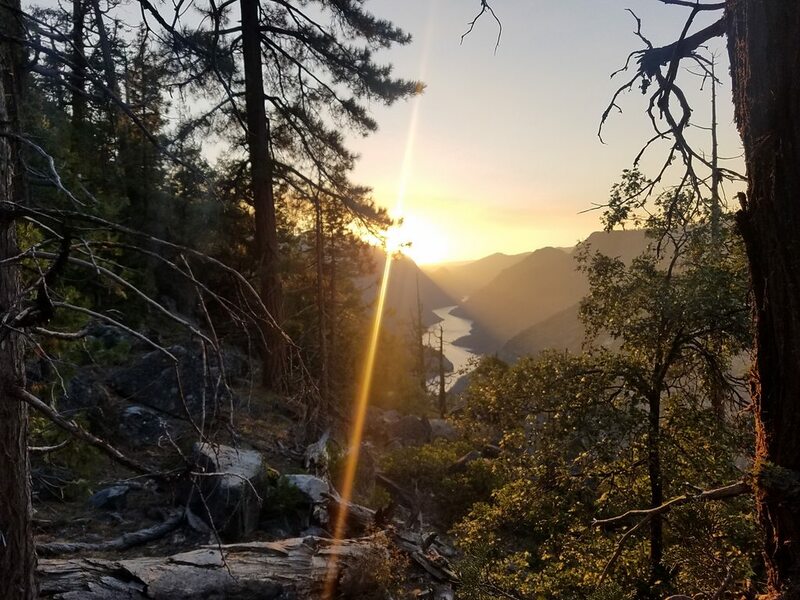 The uphill out of Pate is better in the wee hours of the morning or late evening for sure, but I enjoy making the last night that campsite at Morrison overlooking Hetch Hetchy. I would too. I'll take the properly timed hard climb over the long and gruelling one, anyday. First time we did it, we were going to camp at Pate, but decided to go for it about 1pm. We paid dearly for that decision. We climbed up to those sites up at Morrison practically on our knees. Never again...that's why God invented headlamps. I think you definitely fall into the category of "ambitious". And hey, even in its present condition, that bridge sure beats a log. There are similar but shorter switchbacks in Fish Creek, coming up from the bridge going toward Reds Meadow. We got there around 3 pm. The full sun was on that side of the ridge. I opted to sit at the creek and wait for a couple of hours, knowing we were able to camp at a small meadow where there was a packer camp and other flat spots around, and a small stream. My group spent a lovely couple of hours sitting on the rocks playing our toes in the creek, enjoying a shady spot and watching fish and animals, even got to talk to a three foot rattlesnake who happened by. A group of five people bombed by us while we were there and blasted on up those switchbacks. When we went up at last the sun had passed the top of the ridge and while there was patchy sunlight in places it was not a bad climb. We reached the top, took pictures of the view, and made the last mile and a half easily to the meadow where we found the five guys who'd bolted past us without even saying hi. They were all sprawled on their backs in the meadow on pads. While I was getting water one of them came over to do the same, and I commented on how exhausted he looked. He said the switchbacks were brutal. Completely the opposite of my experience. I probably could have made it all the way back to Reds Meadow, but the following day was good enough -- we easily made it out, got a shuttle, and had a nice lunch at Mammoth Brewery. The guys had to sleep in. Pacing and timing is one of the lessons I learned the hard way too. The past decade I have seen over and over the determination to just keep hiking turn this pastime into a death march for people. I'd rather hike in the dark than do that. Night hiking is wonderful, you see an entirely different population of animals that way. AlmostThere wrote: When we went up at last the sun had passed the top of the ridge and while there was patchy sunlight in places it was not a bad climb. We reached the top, took pictures of the view, and made the last mile and a half easily to the meadow where we found the five guys who'd bolted past us without even saying hi. They were all sprawled on their backs in the meadow on pads. While I was getting water one of them came over to do the same, and I commented on how exhausted he looked. He said the switchbacks were brutal. Completely the opposite of my experience. I probably could have made it all the way back to Reds Meadow, but the following day was good enough -- we easily made it out, got a shuttle, and had a nice lunch at Mammoth Brewery. The guys had to sleep in. Did they have a look of "grim determination" on their faces? I got crucified for that one, but I think you understand my meaning...when breathing precludes greetings, if it's not their airway or momentarily overt rudeness, there's probably some sort of very personalized pain involved....you guys did a damn fine job, but look, when it's all said and done, I somehow managed to make it here too. Phil wrote: Thanks for the bridge pics! Telling. That's pretty much a total rebuild. That'll take some serious time and efort. The girder on your left has quite a bit of rot going on, and the buttress looks like it's barely hanging on. A few more days of swift and high water or a poorly timed tree coming through would've done it in completely, and whatever was left would've been bobbing around Hetch Hetchy. It would've been something to see when it was happening. You're welcome! Had a late start so 1st nights camp was this great spot halfway down the mountain heading into Pate Valley. Trip of a lifetime!